This week has been everything I had hoped it would be and more! All week I've had the biggest smile on my face about sharing our news. It feels more "real" now and I just can't say enough how much I appreciate every kind gesture sent our way. I read each and every comment left on my blog, and to those who have sent emails-thank you for thinking of me and taking time out of your day to do so. B. A little bump pic, which I realize is probably way more bloat than it is actually bump. But hey, the thought that our little baby Krysh is in there just makes outfit's of the day that much more special. 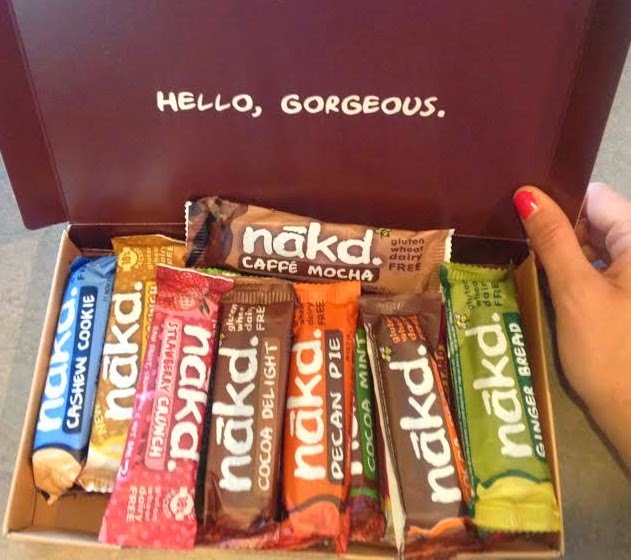 New Nakd bars that I've discovered and really like (cute packaging is totally a bonus). They are 100% natural and are a great afternoon snack. The texture reminds me of Larabars, but they have more flavors and they taste really good. My favorite so far is Strawberry Crunch! These past 12 weeks I have literally hardly shopped at all for myself (knowing maternity clothes are around the corner) and I haven't bought much for baby yet, but there were these 3 things that I knew I HAD to get baby K.
I've heard about all of them in the past and have just always had them in my head to buy for our first baby. 1. Cloud B Sleep Sheep, 2. Jellycat Puppy (in LOVE with them-so soft and cuddly! ), and 3. Sophie The Giraffe. Just laying them in Baby K's (right now empty) nursery makes me so dang excited! 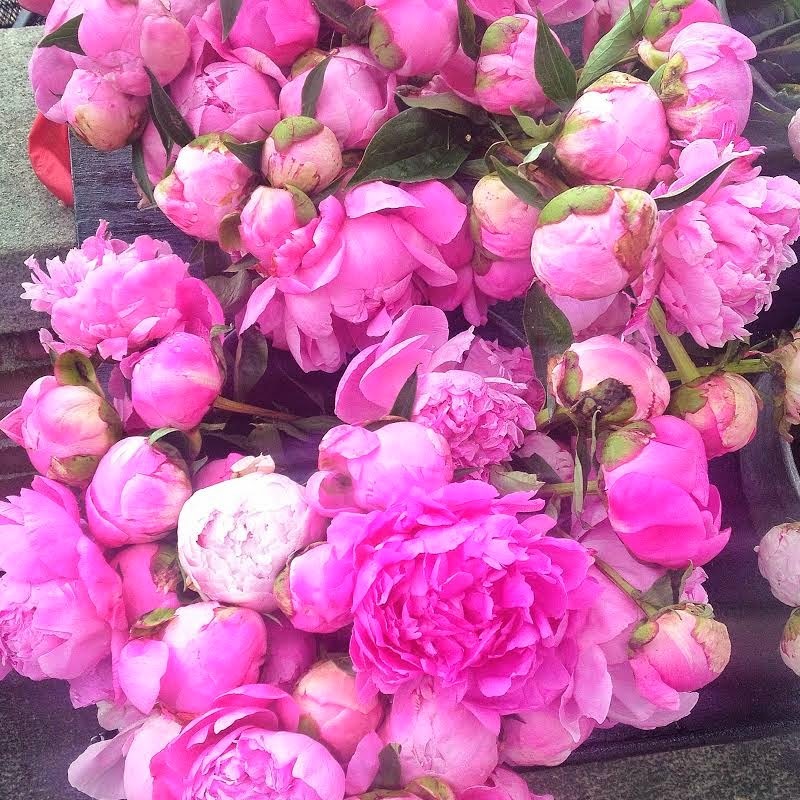 These pink peonies from the farmers market last weekend...love! Would love for you to tell me your favorite baby websites...from shopping, nursery inspiration, product reviews, daily deals, etc! Also, a bonus would be your favorite Etsy shops! Happy weekend everyone, follow me on insta for more weekend updates! PS: Don't forget to enter my giveaway yesterday! I'm so excited for you guys & your new little lady/mister! I am just so happy for you friend. Such an exciting time in your life and I can't wait to follow along on this amazing journey. Have a great, fabulous weekend. Starting to shop for a new baby is so fun! We LOVE our JellyCats!!! The Everyday Family email list is fantastic!! I get free stuff ALL.THE.TIME!!! Check out JBabyRags on Etsy!! BEST burp clothes EVER!!! And the money goes to help a fellow blogger and her hubs pay for infertility treatments!! ipregnancy is by far the best app! It has 2d and 3d ultrasounds for each week so even when you don't have one yourself, you can imagine what your baby looks like! And the information is WAY better than all the other apps. Ah I love peonies! I'm also obsessed with those Jellycat animals! 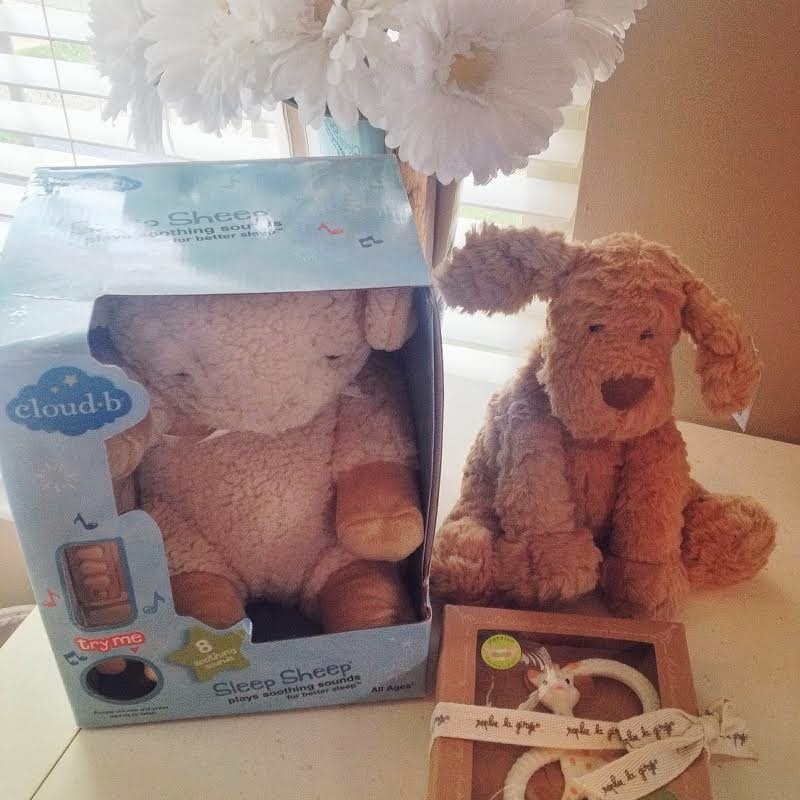 A friend of mine got her baby boy the donkey and its so cute! We stalk these sites on social media & their actual sites. Many more to come....all I can think of right now! thank you thank you thank you! All these are wonderful! BAH. I'm just so excited for you! Definitely stalk Etsy - it's addicting. 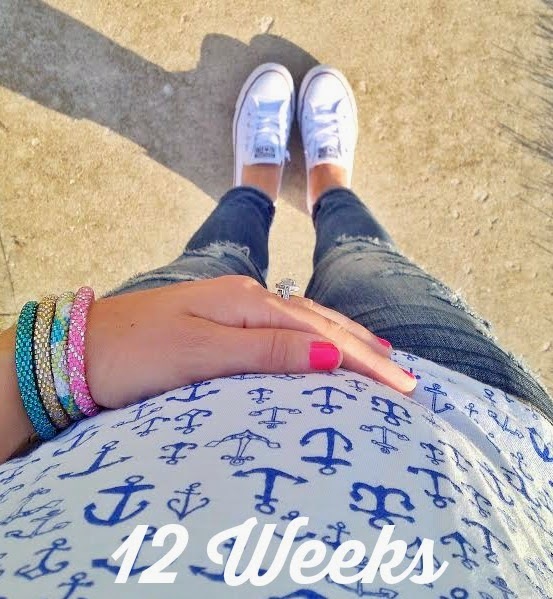 :) The BabyBump pregnancy app was my favorite - I loved checking it! The BabyCenter pregnancy app is also good. I could make this the longest comment ever by listing out product recommendations, but if you're interested, let me know and I can email you some of my favorite things!!! Baby K is definitely your best accessory yet ;) So excited for ya! Obviously I have zero mom advice, but I'll be stalking along! I'm a big fan of Zulily, I think someone else already mentioned it. But definitely go for the baby Toms when they go on Zulily sale, such a good price. Ahh I remember that first week I couldn't stop smiling either! You will have the same thing when you find out gender! All this week I can't stop smiling thinking of our baby girl and I can't stop shopping either! Hi! I just wanted to say congrats! That is so exciting, and I just LOVE how you told everyone, and made it special for the different people in your life! Also, your announcement pictures are simply amazing!! a great pregnancy website is baby2see.com. It shows you week by week what's happening with the baby with real pics and good description of what's going on. I also like the WebMD pregnancy app... it's a bit more clinical, but tells you what's going on with both baby and your body. Oh I am so excited for you lady! My favorite place to shop for clothing is Baby Gap (beware it's habit forming!). On Etsy I love Willow Crowns for cute hairbands. My favorite blogs are Gray Loves Baby for nursery inspiration and also Project Nursery on Pinterest. You're gonna have a blast decorating the nursery! It's been my favorite part so far! 1- Thanks to Obama (love him or not, the perk is wonderful! ), you are entitled to a FREE breast pump through your healthcare insurance! All HC providers differ but most offer at least 2 options, one of which is Medela InStyle (which is apparently AWESOME- I am 35 wks pregnant so can't speak first hand about my experience yet). Make sure you get a RX from your OB and then contact your HC provider to see which suppliers are covered and get it all sorted out before he/she is born. Mine won't send until he arrives but all we will have to do once he is born is call and say we're ready and they'll send it since all the PW was completed. My amazing friend put together an extensive spreadsheet of all the products she has tried (a LOT!) and rated them and also wrote down whether they are a necessity/ a desire / not needed (and the age at which you will need them)- let me know if you want a copy! I would definitely suggest Lucie's List. The site was my go-to for registering. Really helps keep everything to a minimum and great first stop for suggestions/reviews. She also sends out extremely helpful weekly emails that are also pretty funny! I'm so happy for you! I'm glad you had such a fun week telling everyone. That's the part I'm looking forward to the most I think. Oh yeah and the baby ;) Happy Friday girl! Have a great weekend! I also love Lucie's List and used Project Nursery for inspiration. I buy a lot of headbands and bows from Jane and Groopdealz (if you're having a girl) and love the onesies from EllaLuBoutique on etsy (for girls or boys). When it comes time to register, a Rock n Play is a must! Seriously, this was probably the best thing we got and Lucy slept in it for the first few months. Also, you might want to register for different types of bottles. We of course only registered for Dr. Browns, washed them, and then Lucy refused to use them so after going through 3 different kinds over the span of a few weeks, she finally took to Tommee Tippee. I agree to what someone said above too about the free breast pump through your insurance but be forewarned that, depending on your insurance, it might not be the same exact style as the ones you see in store. I got a Medela pump for free but it was a much cheaper version of what they sell in store since it's "free" so I ended up buying one and just used the free one for the parts and as my back up. I know they're expensive but so is formula! Seeing your posts in my feed makes excited for you. The outfit looks great & those pink peonies are just beautiful! I love zulily.com for both maternity and baby stuff it is addicting!!!! Congrats so happy for you!!!! I know you were asking for favorite baby website advice, but I thought I'd give you some unsolicited registry advice while I remember. One of my girlfriends recently registered for her baby using myregistry.com. This was actually really great for her because she was able to pull items from TONS of sites (Amazon, Buy Buy Baby, Nordstrom, Target, Pottery Barn, Restoration Hardware, Etsy, etc.). I wish I had done that because there were a few specialty items that BBB didn't carry that I would have liked to have registered for. It also gives your shower guests lots of options for purchasing your gifts! Cute baby bump! I went nuts on some etsy shops! I loved sweet rhino for her baby books and babiese for bibs and burp cloths. I also did a lot of my baby shopping at target because they were the closest. But also pottery barn kids is great for nursery! Eeee, so excited for you two! :) Of course you HAD to buy Sophie the Giraffe, that was one of the first things my best friend got too! Her son is rarely without it!